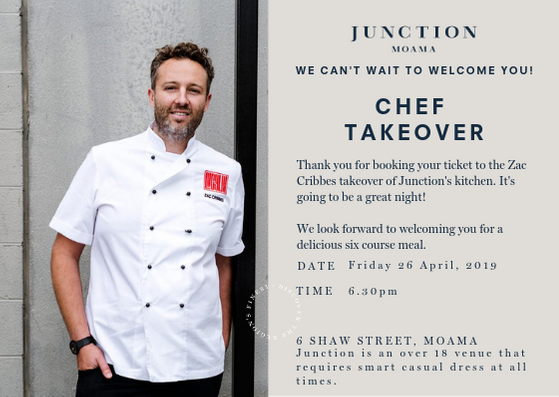 Zac Cribbes, Head Chef from Melbourne's famed Pan-Asian restaurant & bar Lucy Liu, is taking over Junction's kitchen! This is the next installment of the wildly successful 'Chef Takeover' series that brings some of Melbourne's top chefs to the Murray River. Expect the dishes bold, exciting dishes with inspiration taken from all over the Asian region & a night you won't forget in a hurry!